I’m not much of a writer, so please bear with me. I wasn’t sure I wanted to go on this mission trip, but when my twin daughters Abby and Sarah said they were interested I thought this would be a great opportunity for the three of us to have together. And what an experience it has been! As I sit on this balcony of the hotel listening to the sounds of traffic, the occasional siren, horns honking and people talking in their native language, i’m absolutely amazed. It’s busy, it’s hectic,but at the same time soothing and relaxing. It’s mesmerizing. Yesterday some of us from our group sat for an hour on the balcony and watched people jump start a car! That is definitely something I would not take the time to watch at home, so why here? I just can’t explain it. When we attended church on Sunday I was intimidated. I didn’t know what to expect. 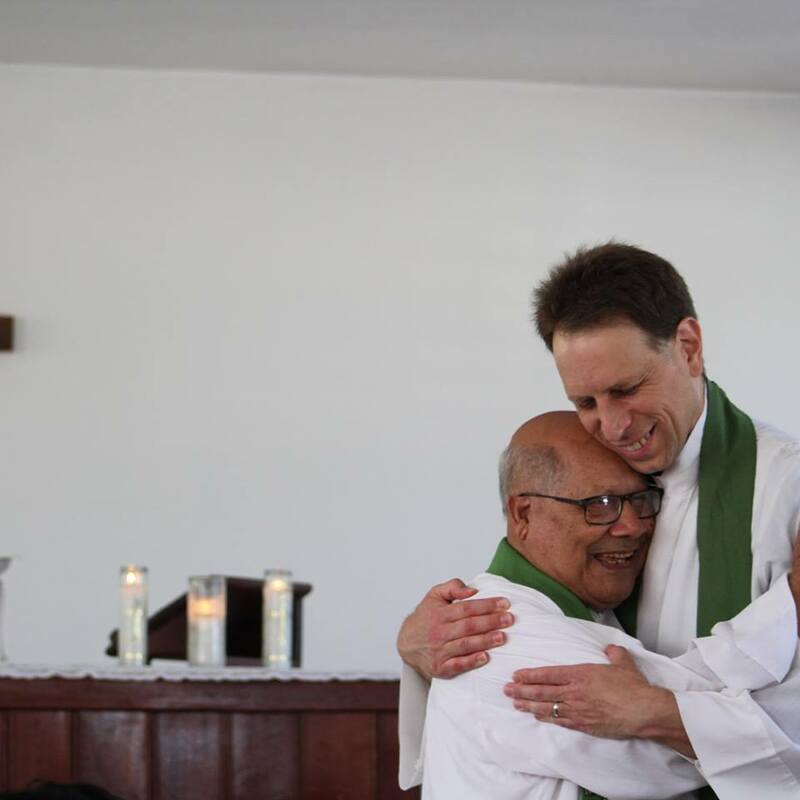 I was so surprised by the warm welcome along with the feeling of love and acceptance from Father Hipolito and the people from his church. 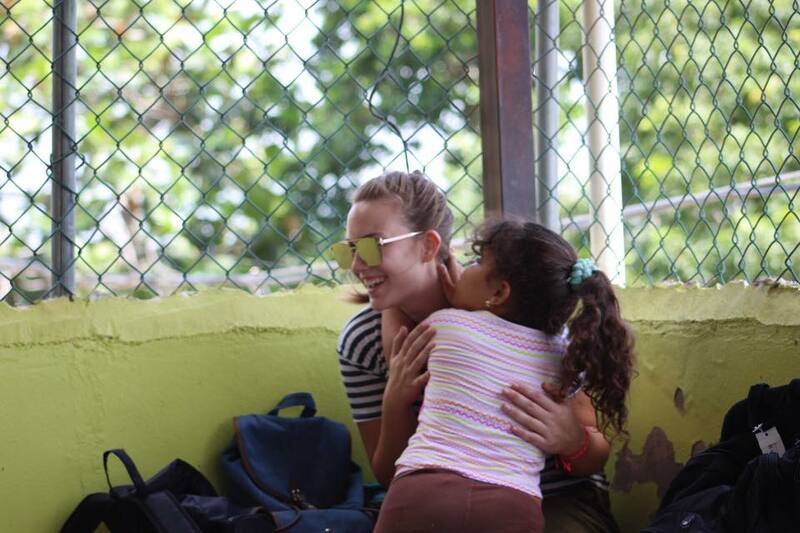 The language barrier was there but the smiles broke through that barrier and put me at ease. After church, as we set up for bible school and the eye clinic, I began to feel at home. Some of the staff and children helped and joined us for lunch where we became better acquainted. In the morning as we climb out of the van, some of the children greet us with hugs and kisses as we walk into the church. Throughout the day the outpouring of affection continues. If you sit for more than a few minutes chances are there will be a little one on your lap or braiding your hair. Their excitement and enthusiasm for every song, every game, every craft is infectious. You can’t help but smile, sing and laugh right along! It seems hard to believe we have only one more day to experience all this joy. Speaking of joy, the eye clinic has brought that and so much more! 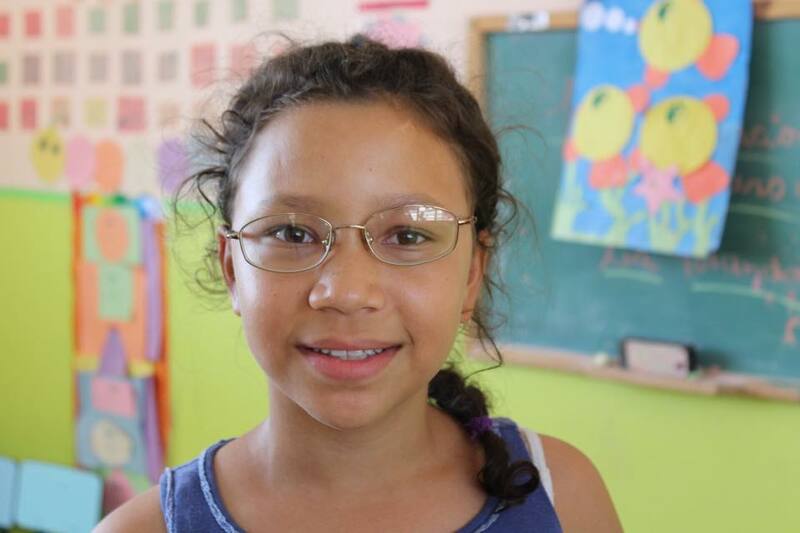 We have had the privilege of seeing faces light up as they put glasses on and see all the beauty that surrounds them. We have received many a hug from complete strangers who are so grateful and appreciative. In America we go to our yearly eye exams and never think twice. Here, there are older adults who have never experienced an exam let alone had glasses to see clearly. In the evenings our group gathers on the roof of our hotel for evening prayer and a time to share. We’ve become comfortable with one another. As the nights go by we spend more time up there telling stories and laughing. We have become a family. We have become one church. It’s a great day in the kingdom! !